Butler’s Rangers. The Rangers and their Iroquois allies attacked the militia from the flanks in the ambush. Upstate New York, August, 1777 “Gentleman” Johnny Burgoyne is leading a British Army from Canada in an invasion of New York during the American War of Independence. His goal would be Albany. By securing upstate New York the British hoped to take the steam out of the American War for Independence by 1777-78 when the British Army in New York City would move to capture Philadelphia. New York was a tempting target with approximately 33% of the population favoring the British while another 33% favored the rebels and another third just wanting to get on with their lives. The campaign which ultimately failed became known as the Saratoga Campaign. The battles fought in the campaign are part of upstate New York’s colonial past and key aspects of United States history given their consequences. As part of Burgoyne’s strategy he sent a British Lt. Colonel by the name of Barry St. Leger on a diversion to take the American fort named Fort Stanwix. The nucleus of St. Leger’s force was a company of British Regulars, two Regiments of Loyalists (Butler’s Rangers and The Royal Regiment of New York), a company of Germans from Hesse-Hanau who were rifle armed. To this force approximately 450 Native Americans were enlisted. Predominate among them were Mohawks and Senecas. The use of native Americans by the British was controversial even in British circles. The reason it was controversial is that the native warriors were impossible to control; something the French found out in the preceding French and Indian War. 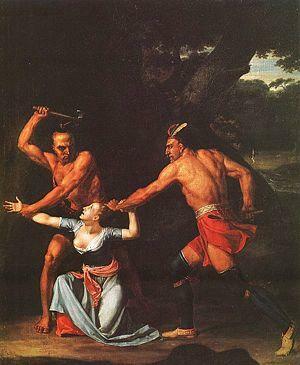 The Indians fought primarily to take captives and to ransom them. They also fought for the spoils of war which meant looting. Many a Tory (Loyalist) family suffered from St. Leger’s Indians since the Indians made little distinction between Loyalist and Patriot. As far as the Indians were concerned both were Americans they had recently been at war with and thus fair game. The Indians were also notorious for atrocities. To fall into their hands often could and would mean a long and painful death. The British had a certain reluctance to use the Indians but use them they did as a terror weapon and thus using every means possible means to bring the rebels back to the crown. When the St. Leger’s forces reached Fort Stanwix they issued an ultimatum to the garrison. Surrender now and we will guarantee your safety from the Indians but if we have to storm the fort there will be no such guarantee. The Americans behind the walls of Fort Stanwix were no strangers to frontier warfare and knew full well that if they surrendered the well-meaning British officers would have little control over the Indians and even among the loyalists many of whom had suffered by the hands of the rebels. War in upstate New York often had the dimensions of vicious civil war. The killing of Jane McCrea. The murder of Ms. McCrea galvanized the patriot militia to oppose St. Leger. The irony was that Ms. McCrea was engaged to a Loyalist officer serving with Burgoyne. Marching to the relief of Fort Stanwix were four battalions of New York militia numbering 800 men under the leadership of General Nicholas Herkimer. St. Leger who knew full well the militia was on its way to relieve Fort Stanwix consulted with his Loyalists and decided that they would attempt to ambush the militia column before it got to the fort. Their strategy was sound for if the militia made it to the fort the British forces would be greatly outnumbered especially so because the Indians were nearly useless in a stand up fight. Leaving a small force to continue the siege of the fort St. Leger sent the bulk of his forces to ambush the militia column. Nicholas Herkimer, the militia general, was popular with his men but a poor General. He made a cardinal mistake in the march to relief Stanwix-he failed to scout his route adequately. This is remarkable given the fact Herkimer was aware that the opposing British force was dominated by Indians (and Butler’s Rangers) who were the masters of the ambush and of scouting. Herkimer did have some woodsmen among his militia as well as a few Oneida scouts and perhaps they failed to pick up on the ambush. Whatever the case Herkimer marched his men in a dense column through a forest path. The ambushing Indians along with Butler’s Rangers took up flanking positions while the Royal Regiment of New York blocked the road. It was a classic ambush set up that worked out as planned. The Royal Greens (the other name for the Royal Regiment of New York) began the battle with a ploy. 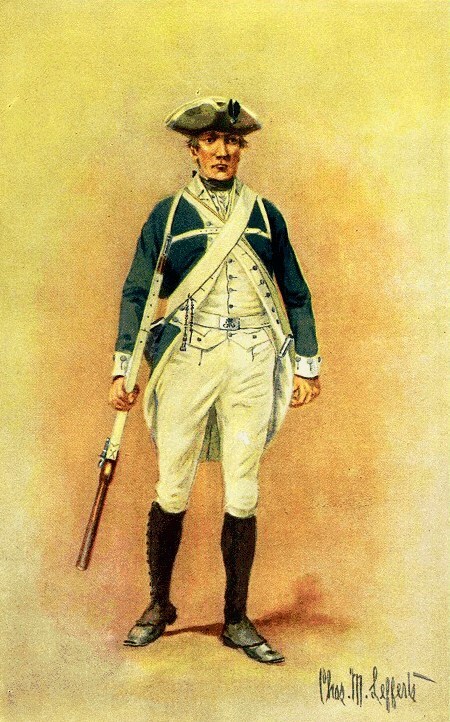 The Greens knew that a certain Massachusetts Continental Regiment was dressed primarily in whitish hunting shirts. The Greens reversed their coats to show the white lining. When the militia came into view they would think it was the Massachusetts Regiment coming down from Stanwix to link up. That was exactly what the lead company of militia thought. They were rudely brought into reality by the Greens first volley which cut down most of the lead company before they could respond to their error. 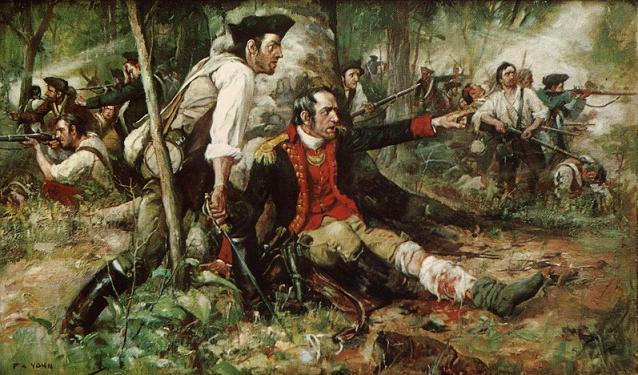 The volley signaled the attack and in the resulting battle the militia lost 50% of the entire force including General Herkimer making it one of the most bloody battles in the American War of Independence. The militia recovered from the initial shock and began to give a good account of themselves. They were no doubt motivated by the fact they were surrounded and that to give up would mean cruel torture at the hands of St. Leger’s Indians. After much vicious close quarter fighting the Indians began to lose interest especially as a good percentage of their leaders had been killed by the desperate militia. The Indians began to melt away or merely hold their positions leaving the Greens and Rangers to press the attack. By that time those units were exhausted and a terrible thunder-storm broke out that effectively ended the engagement with Herkimer’s soldiers retreating. General Herkimer would later die of his wounds. St. Leger’s force suffered 15% casualties mostly among the Indians while Herkimer’s command lost 50% meaning that virtually every family in the county lost a father, son, uncle or other relative in what became known as the Battle of Oriskany. Although Herkimer failed to relieve Stanwix it turned out it did not matter. While St. Leger moved to confront Herkimer the garrison of Stanwix sortied from the fort dispersing the few regulars left. The Americans took the camp and looted it thoroughly with the Indians losing the most. When they returned from the battle and found their camp looted they became even more disillusioned and began their long march back to Canada. This left St. Leger to small a force to continue the siege and he withdrew as well. The Battle of Oriskany is unique in that it was fought exclusively by Americans on both sides. The only exceptions were the British officers with St. Leger. For an excellent account I recommend Richard Berleth’s, Bloody Mohawk-the French and Indian War & American Revolution on New York’s Frontier.